¿Te perdiste los DEISER Enterprise Days? DEISER provides 360° solutions for high-performance teams powered by Atlassian: apps for Jira, implementation consultancy with an eye on quick results, and licensing management for all your Atlassian products. DEISER provides 360° solutions for high-performance IT teams powered by Atlassian: apps for Jira, implementation consultancy with an eye on quick results, and licensing management for all your Atlassian products. Transform Jira in a project tracker. Organize, monitor, and search projects according to the information that matters. Exporter overcomes native Jira issue export restrictions, so you can inspect the entire history of each of your issues. With Workload, you can anticipate bottlenecks by visualizing the capacity of each of your team members in a single snapshot. Profields transform your Jira projects into a powerful management layer. Organize, monitor, and search projects according to the information that matters. New to any product? We give you the time you need for a proper tool evaluation with extended 90-day trials so you can invite as many teams as you wish. Are you having time managing products and instances purchased at different moments? Co-term all your Atlassian renewals into a single order. We guide teams through successful implementations of the Atlassian stack to ensure that they streamline their processes, scale to success, and embrace agility. Low performance, cumbersome processes, manual work... we look into whatever's broken and teach you how to fix it. We manage your stack updates, including all your apps, and ensure continued service of your critical missions. We design new processes, adapt Atlassian tools and marketplace apps to meet your use case, and facilitate change management. Onboard Atlassian tools that work from day 1! Flawless implementations and expert configuration in a matter of hours. Never get stuck again with fear to the unknown! We help you move from cloud to server, or from server to cloud. If no app in the Atlassian marketplace covers your requirements, we'll develop advanced scripting, listeners, or even a tailored app. New integrations, apps, and processes can be unpredictable and take you to a dead end. Let us explore it first and stay on the beaten path! Strengthen your Atlassian knowledge and reach total autonomy in the use and administration of the products. We support your team, analyze your issues and recommend the best solution to prevent it from becoming a recurring problem. "In this case, DEISER has always been with us, in this pursuit of goals for the business sakes. Honesty, humility, team work alongside with the people from our organization. This is one of the greatest models we can look up right now." 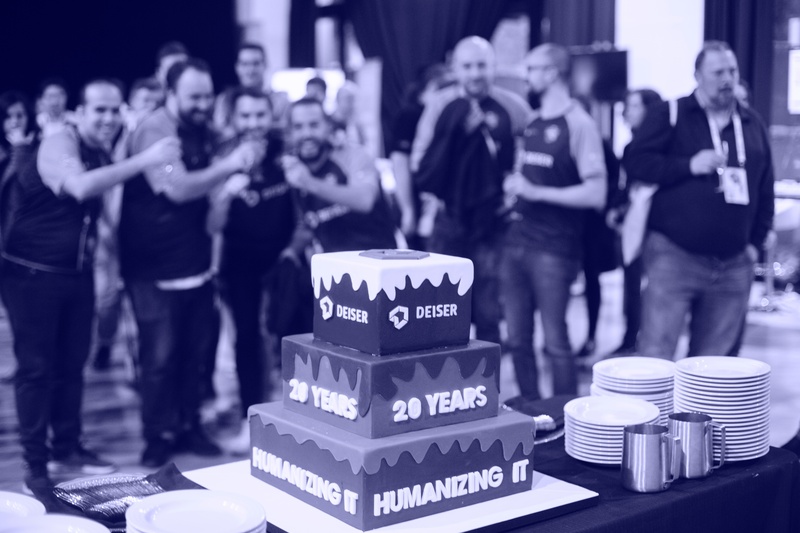 "The benefits of working with DEISER, either their products or their services, is that they've been long time Atlassian partners so, not only they knew our partners, they have a great amount of intimate customer knowledge." "Doing all of this with the valuable help from DEISER has been the cherry on top. Your work focus based in sprints is great, the contribution from the people that work in DEISER is fundamental." "Personally I'm very satisfied with the support we are getting from you. Is not that easy to find suppliers that offer so much high quality."